Bee healthy and stronger with natural, protein power from bee pollen! Bee Pollen There are 4 products. Get Api-Nuggetz, nature's super food made by super bees! It's organic bee bread made from wildflower pollen collected by wild honeybees. Rich in natural vitamins, minerals, and amino acids, it's better than fresh pollen, it's a 'Super Food' that puts a natural "buzz" in your body. 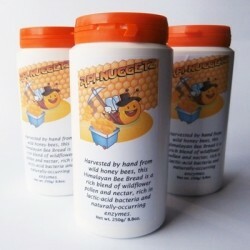 Api-Nuggetz, nature's super food made by super bees! It's organic bee bread made from wildflower pollen collected by wild honeybees. Rich in natural vitamins, minerals, amino acids and probiotics, making it even better than fresh pollen. Put Api-Nuggetz on your Paleo shopping list for a super healthy, energizing snack! Now in a larger sized bottle! 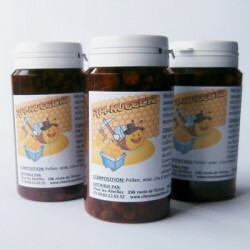 Fresh bee pollen, an incredibly flavorful experience. 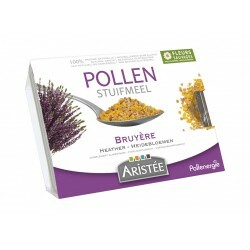 Soft, sweet and aromatic, our Heather Wild Flower bee pollen is a pleasure to consume everyday! Fresh bee pollen, an incredibly flavorful experience. 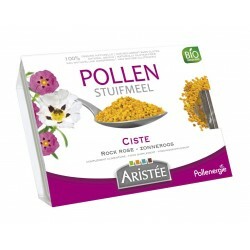 Soft, sweet and aromatic, our Organic Rock Rose bee pollen is a pleasure to consume everyday!